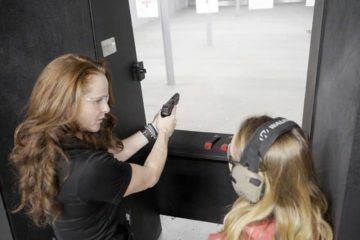 Gun owners across the country are once again frustrated with the Liberal government handing over the decision making process to law enforcement, a duty usually reserved for elected officials. 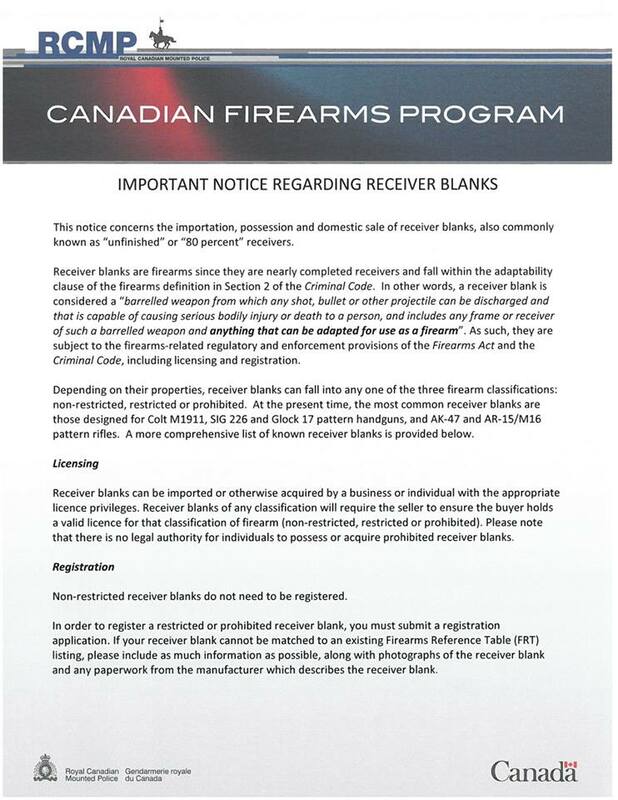 Today, RCMP Firearms Program posted a new memo on their website with yet another re-interpretation of legislation surrounding firearms-re-classification of 80% receivers. 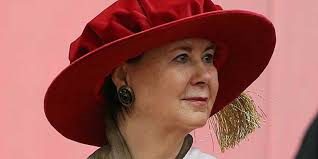 Tracey Wilson, VP of Public Relations and CCFR lobbyist sent a communication to Public Safety Minister Ralph Goodale’s office immediately asking why the continuous bombardment on law abiding gun owners is allowed to continue. At the very least, some kind of notification should be sent to gun owners who are now in possession of a prohibited device if they own an 80% receiver for an AR-15, the world’s most popular sporting rifle. No answer has come as of the time of this posting. 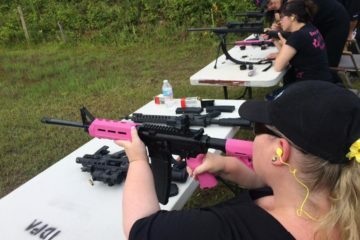 Gun owners are still reeling from the impact of Goodale’s Bill C-52, an amendment to the Act to end the Long Gun Registry that re-opens the data out of Quebec and encourages the province to attain it. According to RCMP Deputy Commissioner testimony, that data was destroyed. For a party that promised open, transparent, fact-based decision making, they are not living up to their campaign promises. 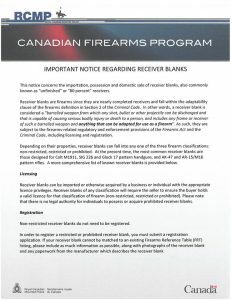 The CCFR encourages the office of Public Safety to take a break from the barrage on gun owners and re-focus efforts on preventing actual crime. The Liberals had included a promise of $100M to the provinces and territories to combat guns & gangs, something that would have a positive effect on public safety. That promise was noticeably missing from the disastrous budget reveal earlier this year. It seems quite clear that P.S. Minister Goodale is washing his hands of the firearms file and allowing law enforcement the run of the department. 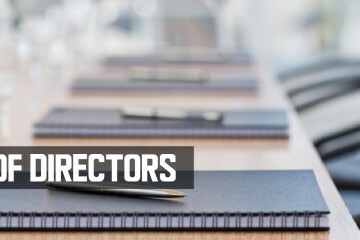 We’ll keep you up to date as information becomes available on these issues.